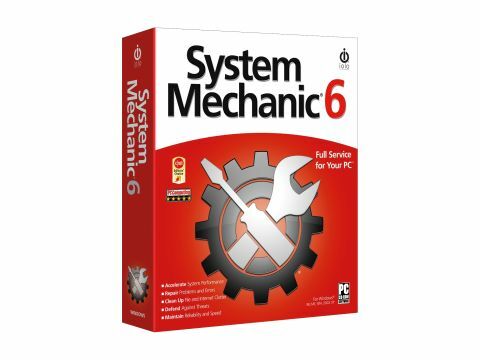 System Mechanic (£50 inc. VAT) is a set of tools designed to help you keep your laptop running, if not improving its performance. The interface has been redesigned and, in keeping with its name, looks like a car's dashboard with twin speedometers, the first representing your laptop's health and the second its security status. Don't be too worried if the first thing it says is Critical for performance and Low for Security, as it's indicating that you need to run the optimise tasks. You'll find the standard array of optimisation tools, including Windows startup manager, disk defragmenter and registry editor - all of which work much better than the standard tools supplied with Windows XP, but none are critical additions. To make things easier, they are all wizard-driven. If you want the system to clean itself, you can run the PC TotalCare utility, which will run through each tool. There are no real problems running the suite, with most of the mystery of optimisation hidden away, but if you've even a slight interest in performance, it's likely that you'll already own most of what is on offer. You'll also find a fairly comprehensive Internet suite too, which consists of a third-party firewall and antivirus suite from Kaspersky Labs. If you haven't got such software included already, then it's a worthwhile addition, as it will definitely protect your system and even adds the benefit of removing popups from websites, as well as removing malware. System Mechanic falls into a strange no-mans land of useful but not essential. The tools it supplies are helpful and add performance to your laptop, but it's not compelling enough to pull you away from your current utility program. If, however, you're new to computing and looking for a catch-all program, there are definite benefits, as the antivirus and firewall software help make this a bundle worth consideration.